The story of graphene – a semimetal material which has the potential to be used in a wide range of scientific, industrial, and commercial applications – is one which demonstrates both the frustrations and the possibilities of human research, as well as our continuing effort to shape the world around us as we see fit. While observed for centuries in the form of unintentionally produced samples and theorized on ever since, graphene remained elusive as a predictably manufactured material until the late-20th century. Now, thanks to Nobel-prize winning work on the development of graphene, the 21st century appears on the verge of entering the Age of Graphene. While obstacles remain when it comes to integrating graphene into current technology, scientists are confident these obstructions can be overcome with continuing research. Graphene is both lightweight and strong – in fact, it’s currently the strongest and thinnest material known to science. It’s also a terrific conductor of heat and electricity. This makes graphene an ideal candidate for replacing silicon as the material used for manufacturing computer chips. So what’s the catch? The established method of creating graphene – by essentially removing one layer of graphite at a time until one layer is left – is neither efficient nor cost-effective. While alternative methods of creating graphene, such as chemical vapor deposition, are promising paths to overcoming this hurdle, since CVD graphene involves a more practical process, the material remains elusive as a replacement for silicon. The reason is simple: unlike silicon, graphene lacks a bandgap which allows for current to be switched on and off. However, researchers feel confident this is an obstacle they will overcome in just a few short years. 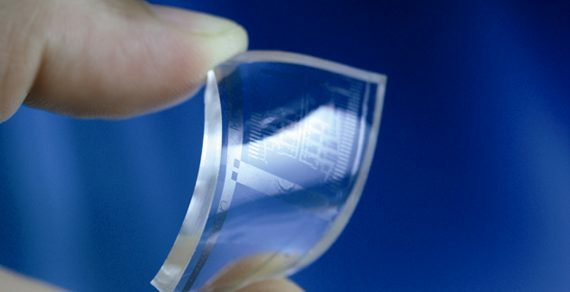 On top of its previously mentioned wonder-properties, graphene is almost completely transparent. Therefore it has tremendous potential for use with liquid crystal display touchscreens. Unlike current materials used for touchscreen displays, a graphene-based screen has the potential to bend, making the semimetal an essential component of foldable phone prototypes. Another amazing property of graphene is its ability to allow water to pass through despite holding up against most other liquids and gases. This gives graphene the potential to act as a filter in a number of industrial processes and systems. Due to the relative low-complexity of graphene acting as a filter, this remains one of the most promising and practical ways of utilizing the semimetal material. As you might already know, battery technology has not advanced much in the last 20 years or so. While computers have gotten smaller, faster, and more versatile, the same cannot be said for our means of powering these devices. The next multi-billion dollar tech boom will no doubt come from the development of new and improved batteries. Those involved in the development of graphene believe the material will play a major role in this inevitable breakthrough; by using graphene as an anode, scientists have been able to engineer greater storage capacity. Such graphene-infused battery technology is considered promising for use with electric vehicles as well as our smartphones, tablets, and other devices. While on the radar of scientists and researchers for centuries, graphene has only recently proved to be a reliably manufacturable material. Furthermore, it’s only been in the last few years or so that practical methods of creating graphene have been developed. With this in mind, it’s no surprise we’re only at the groundbreaking stage of the age of graphene. As the 21st century carries onward, it’s safe to say graphene will play an increasingly significant role.